Supported OS: macOS Mojave (32bit & 64bit), High Sierra and lower. Dedicated & Best Free DVD Ripper for Mac No need to install several free Mac DVD rippers for handling just one DVD! 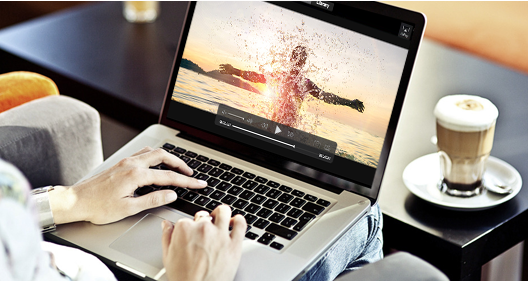 With WINX alone, you can rip any DVD (disc or file) to Mac/iOS preferred video and audio. Make your disc region free and auto rip from the right title. It is fast and idiotproof. Intelligently compress file size to fit your iPhone/iPad with zero quality loss. Adjust resolution to enjoy your old and new movies with bigger TV screen/iMac. New! This Mac DVD Ripper fully utilizes cutting-edge Intel QSV and NVIDIA NVENC/Cuda based hardware acceleration, thus raising the conversion speed at least by 50%. Meanwhile, it preserves image quality to the utmost. Besides standard outputs for iMac, Macbook Pro/Air, the DVD ripper has built-in iOS-specific profiles for iPhone (Xs, Xs Max, XR and more), iPad, iTunes and backup-based output options for USB and NAS. This Mac DVD ripper fully utilizes hardware encoding, hardware decoding and hardware processing to attain the maximum conversion speed. It converts disc to digital quickly while keeping superb image quality. Disable unwanted subtitle before you rip DVD on Mac. Choose the audio/language track you need. Or add external subtitle - control the output with a simple click. Take a Look InsideWhat makes WINX FREE DVD Ripper for Mac exceptional? Homemade DVD to YouTubeRun this Mac DVD ripper, select "Web Video Profile" and you can extract content from DVD and share to social. Access & Rip Read-only DVDMake a digital copy of any read-only DVDs to hard drive, USB or NAS. Or make the file playable with iOS devices. channel/volume, sample rate, bit rate, frame rate, aspect ratio, resolution. 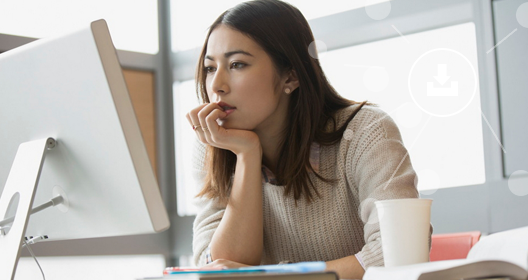 This hardware accelerated DVD ripper for Mac provides you plenty of ready-made profiles for Mac-specific applications or iPhone, iPad, iTunes, iPod, Apple TV. Or adjust output parameters, crop, merge, subtitle accordingly. 1. 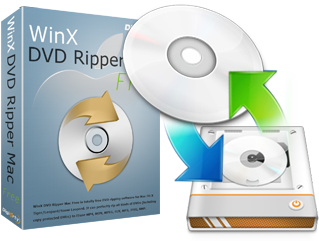 Install WINX FREE DVD Ripper for Mac, run it and import your DVD by clicking "DVD disc", "ISO image" or "+ Folder "button. 2. You'll see a pop-up window asking you to select output profile. Choose "MP4". 3. Hit the "RUN" button to start the conversion. What is the latest macOS Mojave?As the successor to High Sierra, macOS Mojave(version 10.14) is the fifteenth major release of macOS, Apple Inc.'s desktop and server operating system for Macintosh computers. It brings several iOS apps to the desktop including Apple News, Voice Memos, and Home; includes a much more comprehensive Dark Mode and is the final version of macOS to support 32-bit apps. As a Mac DVD ripper capable of ripping all kinds of DVDs (homemade/movie/music/workout DVDs) to MP4, H.264, H.265/HEVC, MOV, MKV, iTunes, AAC, MP3, etc, WINX is the fastest solution to prevent damage or scratch on DVD disc. With the help of WINX FREE DVD Ripper for Mac, you get HD quality video that can be smoothly played with iPhone, iPad and Apple TV. No malware, adware or spyware. How to Backup Read-only DVD Movies on macOS? How to Copy Disney DVDs on macOS?